In 2015, Lysander Spooner University launched its ambitious glacier-chasing research project, aimed at keeping and maintaining accurate images of some of the glaciers and permanent snowfields in Montana and surrounding states. Government websites frequently post images of certain glaciers in Glacier National Park from yesteryear . . . next to more recent images of the same glaciers in a much diminished state. 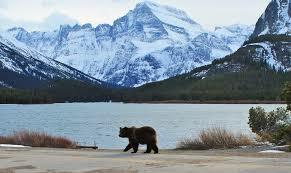 Those who trust government are led to believe that the glaciers in Glacier National Park are rapidly melting away. Only the wholesale abandonment of capitalism and a worldwide embrace of government can save the earth from global warming–government agencies tell us. But anyone who lives in mountain states knows that glaciers GROW EVERY WINTER and then decrease over the 3 months of summer. Without specific calendar dates, a comparison of any random image from one year with an image from another year provides very little information. It appears that several of GNP’s glaciers have actually been expanding over the past several years. Each year around September 13–the average date of first freeze at East Glacier, Montana–Lysander Spooner University meets and endeavors to hike to and photograph glaciers at GNP from the same vantage points. Join us this year on the weekend of September 16 and 17 for our 3rd annual Glacier-Chasing Festival. We will meet on Saturday the 16th in the lobby of the East Glacier Lodge for two days of fun and research!